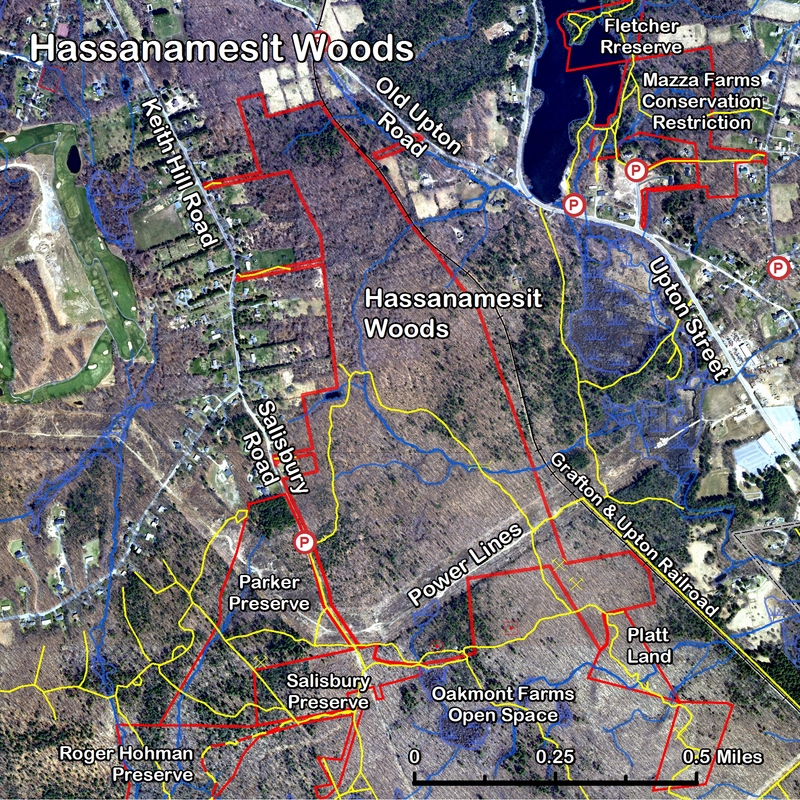 Oakmont Farms is town-owned open space connected to the town's Hassanamesit Woods and Keith Hill Forest land, as well as Grafton Land Trust's Parker, Salisbury, Hohman, and Platt properties. It has an extensive network of trails as part of the whole Keith Hill trail network. The first 225 acres were created 1996-1999 in the redesign of the original 1988 proposal for the Oakmont Farms development, which the Planning Board initially rejected for not having enough open space. The development plan was changed and the open space was created. Then in 2012, another 24 acres from the Brookmeadow Village development was officially acquired by the Grafton Conservation Commission to extend this area to approximately 250 acres in total.